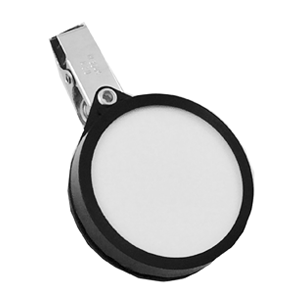 ACS Vapor Monitor can be worn as a badge near the breathing zone to measure personal exposure, or placed in a room to measure area concentration. Measurement of personal exposure is very easy. Clip the monitoring badge near the breathing zone of the worker. Record the start time and the stop time of the test on the pouch of the badge and return it to the laboratory for analysis in the mailer provided. The analysis report will show the average concentration of the worker’s personal exposure level. According to OSHA regulations, each person who uses a toxic gas as a regular part of their job must have their exposure monitored periodically. Place or hang the badge in your home for 24 hours. Record the start and stop times and send the badge back to the laboratory for analysis in the mailer provided. The analysis report explains if the concentration level of your home is exceeding the exposure limit. Air diffuses through a micro-porous membrane and collects vapor on special prepared adsorbents inside the monitoring badge. No effects detected at 30% RH to 92% RH. Monitors need to be returned to Lab within two weeks after sampling.